A local mom in the midst of preschool birthday party season says she always has her ears open about potential gifts for the kids whose parties she knows her daughter will be invited to attend. "If I'm going to spend hours making a gift that I could have purchased in a matter of minutes, I want to make sure I know what the kid is interested in." That's why, she says, when a young man in her child's playschool class approached her to tell her about how much he loves The Incredibles, she listened intently. "My dad is Mr. Incredible. My Mom is Elastigirl. I am Dash." Then, pointing at the local mom's own 1-year-old son, the young man said, "And that is Jack Jack." 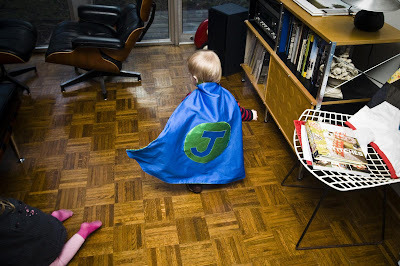 "That's when I knew I was going to make him a superhero costume," the local mom laughed. 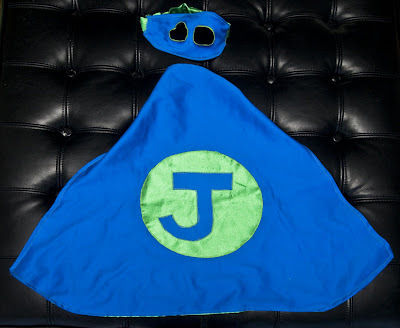 The local mom, who fancies herself an amateur crafter, slaved away at her sewing machine to make the young man a simple cape and a superhero mask. 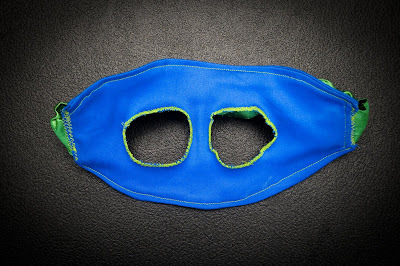 At the birthday party, when the boy opened his present, the room reportedly fell silent before letting out a collective gasp when he held up his bright green and blue mask. "I was worried they thought it looked shoddily-made," the local mom confessed. "I'm no Edna Mode." Instead, with the speed of his favorite movie superhero kid, the birthday boy was wearing his new mask and cape and running around his birthday party as if a troupe of super villains had interrupted the present opening festivities. All the other parents were reportedly impressed. "You made that?" a fellow mom asked. "You're Supermom!" 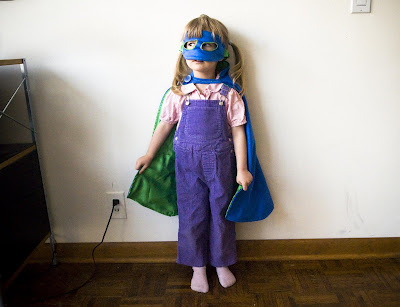 Crafting and Sewing, in this day and age, can make any ordinary mom into a Superhero. When asked if she had plans to make more capes, she said, "I have to. My one-year old cried when I took this one off him." This is better than Edna. Edna is SO anti-cape. Very nice! I'm not surprised he adored it.